Most experts predict that closed sales will decline while prices will continue to rise through and beyond 2019, but at a slower rate. Rising interest rates, prices and property taxes (as prices rise, taxes rise) which have been increasing faster than incomes have been squeezing buyers out of the market or limiting how much house they can afford. 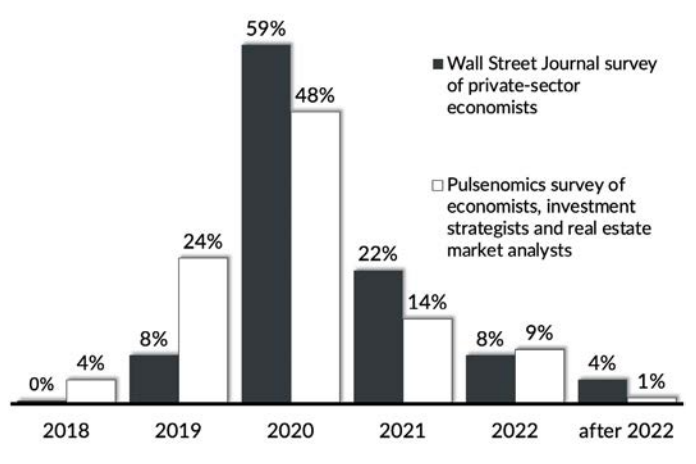 The peak of the post-recession demand is waning as many of those who were in position to take advantage of past market opportunities already have. Baby Boomers are working longer, putting off retirement, and delaying their next move. Many bought or refinanced at sub 3% interest rates. Their taxes have also been “capped” for years. Not wanting to give up those rates and the lower capped taxes on their existing homes have been keeping Boomers from moving. Many Millennials put off buying while they focused on paying down their student debt. With interest rates and prices rising, those who haven’t already done so may want to take their first plunge into the market soon rather than waiting. Many of the homes they can still afford today will be moving out of reach. Rising interest rate affect everyone. Sellers who are planning to make a move should do so before rates continue to rise. As they rise, fewer buyers can afford a given price. Rising fear that a recession is on the horizon could cause demand for homes to scale back as prices continue to rise. Consumer confidence is wavering due to recession fear, stock market jumps, trade wars, and the longest government shutdown in history. In addition to rising prices, both mortgage rates and property taxes are moving targets that can limit affordability. Mortgage Rates: As prices and rates rise, the number of buyers that qualify to purchase a given home goes down. 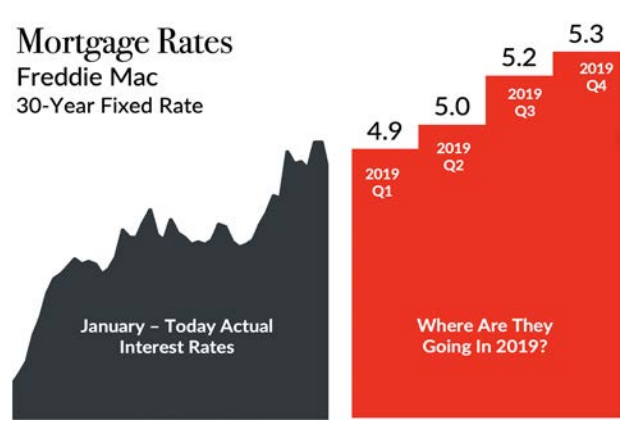 For a typical home in the $200k to $250k price range, a 1% increase in the mortgage rate results in a 10% drop in the number of buyers who can afford it. 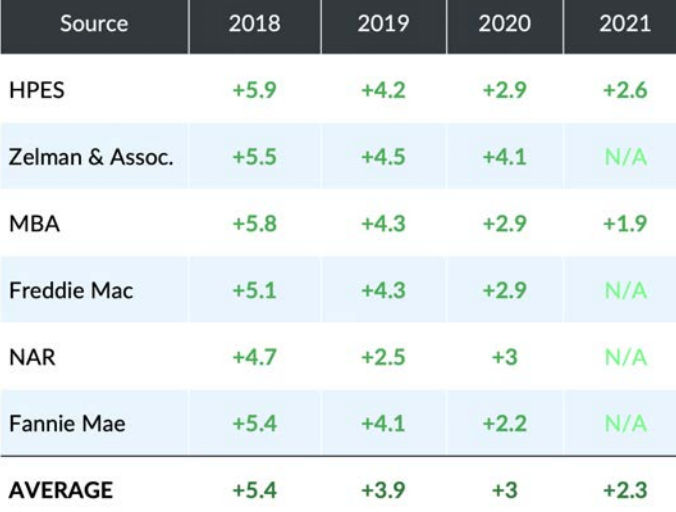 The typical Freddie Mac mortgage payment is projected to reach $1,000 a month in 2019. The payment on a similar home in 2012 would have only been $550 a month. As prices rise, property taxes rise. In Michigan, once you own your home, taxes are capped so that the most they can rise in a given year is the less than 5% or the change in the Consumer Price Index CPI. Property Taxes: Since 2015, the average sale price in our region rose 15%, but the CPI increased by less than 6%. Taxes on the same house bought in 2015 would be approximately 9% less than taxes on the same house purchased today. While that may not make today’s buyer happy, this provides another reason why in a rising market, there are also tax benefits for locking in your cap sooner while prices are lower rather than waiting for prices to go up. With the rise of average sales price and increase in mortgage rates, the average monthly payment of the buyer will rise with it, shrinking homebuying affordability. While rates are still considered low, higher property values increase the monthly payment burden to the buyer. Student debt is having an impact on millennial homeownership. According to a recent Bloomberg business report, 36% of households between 24 and 32 owned homes in 2014—a drop of nearly 10% from the same age group in 2005. During that same period, average student debt doubled from $5,000 to $10,000. 44 million borrowers collectively owe $1.5 trillion in student loan debt in the U.S. Student loans are now the second highest consumer debt category—behind mortgages. This has been a concern as Millennials enter into what are typically first-time home buying years. Currently the average age of a first-time home buyer is 32 years old. If student debt remains the burden that it is today, the average age when a 2018 college graduate will purchase their first home will be 36—14 years after they graduate with a bachelor’s degree.